Botulinum toxin type A (Botox TM / Azzalure TM) is a naturally derived protein that acts upon muscle nerve endings . Once injected it relaxes the muscles that cause lines and wrinkles making the face appear more youthful. It is mainly used in the uppermost third of the face, such as around the eyes (crows feet), on the forehead and in between the eyes at the frown lines. It can also be used to smooth smokers lines around the mouth and lines in the neck and help lift the brows. What happens when I have the treatment? Anti wrinkle treatment using botulinum toxin is a generally a fairly quick procedure. It involves injecting the product into specific muscle groups with a very fine needle. Botox will generally take effect in about 4-7 days but it can take up to 2 weeks to be fully effective. Botulinum toxin is generally very safe when used in a clinical setting and has been used in medicine for many many years to treat conditions such as cerebral palsy. Side effects from cosmetic use are generally rare but can include bruising and ptosis (drooping of the eyelid) . The treatment is practically painless and most people only feel a very slight scratch when product is injected. The effects of botulinum toxin tends to last between 3-6 months. As treated muscles gradually regain function , the lines and wrinkles begin to re-appear. Muscles can be repeatedly treated, every few months, to maintain a smooth appearance. Over time you may also experience that your lines and wrinkles seem less severe , as the muscles are trained to be more relaxed. Can I have the treatment on the same day as the consultation? Yes, as a dentist I can hold stock, so if I have stock I can treat you the same day. In some cases however the Botulinum A toxin will need to be prescribed and an additional appointment made. 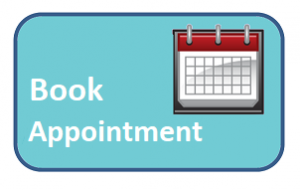 Use our form today to request an appointment.